Save Memories and Create New Ones! Unique handmade dresses and skirts are created from upcycled T-shirts and men’s dress shirts. A variety of styles, sizes, and fabrics are available. Looking for the perfect special occasion dress? These upcycled men's shirt dresses are custom sewn to your size specifications. Available in pillowcase, tank, and peasant dress styles to meet every need. You get to choose the style, the length, the shirt and create your perfect dress! Check out my galleries for inspiration ideas and larger pictures of my in-stock fabrics. Also, feel free to select *Custom as your color and let me know what you'd like. If you select *Custom for anything, please fill out the notes section of the checkout to let me know how you want your item customized. Please contact me if you have any questions or want to discuss a project before ordering. Want to make a statement without spending a fortune? Want a dress that grows with your child and will last season after season? 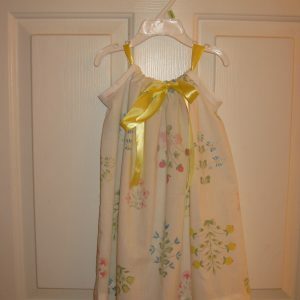 These upcycled pillowcase dresses can be made with ribbon ties either on both shoulders, one shoulder, the front or the back. If you would prefer to not to use ribbon, they can be made in a variety of other fabrics to suit your needs. 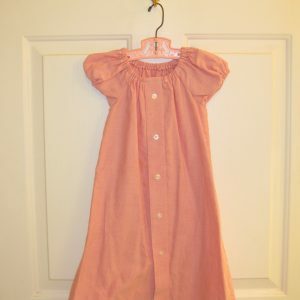 Allow me to custom create a fabulous dress for your little one today! Check out my galleries for inspiration ideas and larger pictures of my in-stock fabrics. Also, feel free to select *Custom as your color and let me know what you’d like. If you select *Custom for anything, please fill out the notes section of the checkout to let me know how you want your item customized. Please contact me if you have any questions or want to discuss a project before ordering. 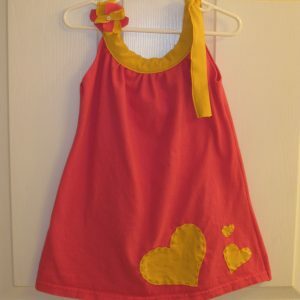 Upcycled T-shirt dresses are the perfect addition to any little girl's wardrobe! Made out of T-shirts, these dresses are the ultimate in comfort and washability without sacrificing style. These are perfect for layering during the fall and winter and work great alone during the warm months too. Completely customizable to create the perfect dress for any occasion! 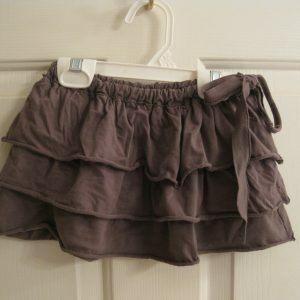 These upcycled T-shirt skirts are designed with twirling in mind! With a drawstring waist to create a perfect fit, you never have to worry about it falling off. Made of upcycled T-shirts, these skirts are a great comfortable addition to any wardrobe and can fit any occasion. Custom colors and sizes are available.